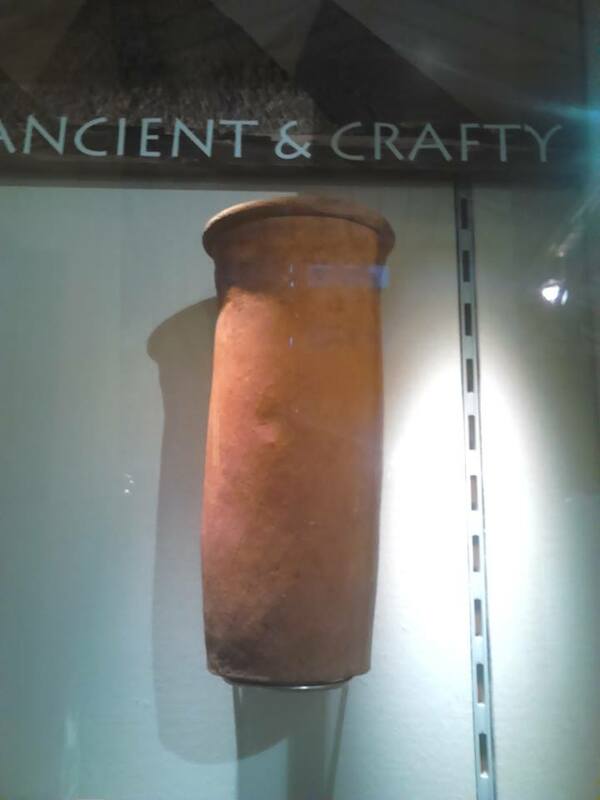 Cylinder jar made of Nile clay with a thumb dent of the Ancient Egyptian potter on it! At over 4000 years old, this a real link to a person in the past. People in the settlements along the River Nile called it ‘the river of life’. The river was essential for growing food (irrigation) and—of course - for the clay used for making storage pots. This jar was found in a tomb at Abydos, one of the oldest cities of ancient Egypt and is considered one of the most important archaeological sites in Egypt; the sacred city of Abydos was the site of many ancient temples.